We are a Firm of Solicitors with specialty in the areas of residential conveyancing, commercial leases, family law, litigation (including debt recovery), immigration and business affairs. Estate and Corporate Solicitors Ltd Company Registration Number is 8082564 and our SRA number is 572235 Our Vat Registration Number is 972266107. Our fees are very competitive. Civil litigation falls into two categories. One based on contract, i.e. an agreement between two or more parties, and the other is based on a civil wrong caused by one party to another either deliberately or negligently. The later often referred to as Civil wrongs include cases of personal injury and damages to property and reputation. If you are involved in a dispute with another individual or company we can advise you on your chances of success and depending on the nature of the dispute the possible value of your claim. We do this by objectively assessing your matter. We also negotiate on your behalf and if necessary commence or defend proceedings which, according to the subject matter and the amount of the claim, will be dealt with in either the County Court or the High Court. Law suits, or the circumstances which could give rise to one, are major challenges whether they be directed at individuals or businesses. They can be life changing events and can have very serious consequences. 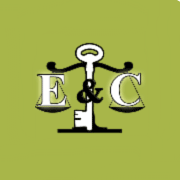 Estate and Corporate Solicitors can deal with all aspects of Property Law from buying and selling your home to the ins and outs of rights of way, easements, encroachments, squatters and many other similar complexities of land ownership all need to be dealt with by persons of expertise in these areas. Our residential conveyancing team is dynamic, friendly and efficient, and is able to handle sale, purchases, remortgage, transfers of equity and right-to-buy transactions for homes across the whole of England and Wales. Our commercial property team covers many types of commercial property work ranging from small shop and yard leases to full scale residential or other commercial developments. Estate and Corporate Solicitors possesses a strong and capable team of Private Client lawyers dealing with the financial and testamentary aspects of individual and family estates. One cannot underestimate the importance of having an up-to-date Will for the loved ones, family and friends one leaves behind, and the need to understand the relevance of Inheritance tax (IHT) to ones Estate .The Threshold presently for (IHT) remains at £325,000.00. It is therefore important to take proper estate planning advice if the estate is likely to exceed £325,000. Our Commercial Law team consists of experienced consultants and lawyers and covers matters concerning sole proprietorship , to trading partnerships and corporations, nationally and internationally. Estate and Corporate Solicitors are able to assist by liason only with matters relating to USA law, and Nigerian Law. We have contacts with associated firms in Spain, Cyprus, and Germany. Our Principal Solicitor (Victor Aigbogun) is himself a qualified Barrister at Law In Nigeria and also a qualified Solicitor in England and Wales. Are you contemplating settling or visiting the UK, or do you; want to bring some one to the UK, or appeal against the Visa Officer's decision to refuse entry clearance to a member of your family or apply to extend your leave to remain in the UK. Estate and Corporate Solicitors offers legal service in this area and will be very happy to assist and offer invaluable advice to you. We have considerable experience in this area and therefore we are able to provide a personal and practical service to both commercial and individual clients. Advice and solutions are provided in a practical, creative and cost effective manner. All issues and any potential problems are identified at the outset. We pride ourselves on being able to provide prompt, effective and efficient services at realistic costs. Immigration legislation, and its rules and policies, are vastly complex and are regularly reviewed by the Home Office. It is advisable, therefore, that you secure professional guidance when formally looking to process an application of this nature. Our extensive legal knowledge and experience in preparing and submitting applications and dealing with appeals often results in our clients achieving successful outcomes that may otherwise be denied. Excellent services. They are friendly ,and courteous.Very professional in their approach.